From here, go to your Reminders tab. Scroll down the to File Expiry section and click + Add reminder. 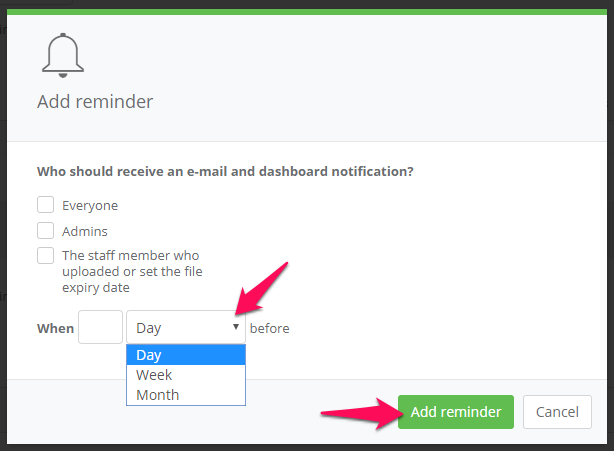 Here, you can select Who should receive an e-mail and dashboard notification and how long before the file's expiry date they receive it. 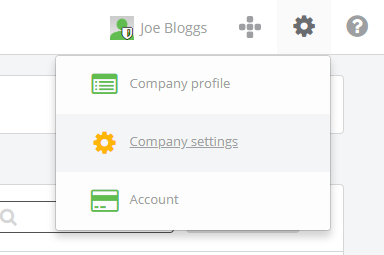 Once you are happy with the options you have selected, click Add reminder. The new reminder will then appear in the list of other reminders. You can set as many reminders leading up to the expiry of a file as you want.